It’s 8:31pm on the day after graduation as I’m writing this. Almost everybody has moved out and the house is quiet. The end-of-the-year rush is crazy, but it’s something you get used to. Maybe too used to. I was just outside throwing away more trash from my room when I saw a man milling around by the garbage can. I didn’t think anything of it until I really looked at him. He was staring at the garbage can like he couldn’t believe what he was seeing. I asked him if I could help him and he asked me, “Is all this stuff trash?” I told him it was. See, every year many Stanford students frantically clean their rooms and inevitably decide that it’s just not worth it to lug a bunch of stuff home. So they throw it away–and “it” is thousands of dollars of stuff, often unopened decorations, electronics, clothes, whatever. Just today, as I was cleaning the house (I’m the RA), I threw away 15 bottles of detergent, new furniture, dozens of food packages, and decorations like you wouldn’t believe. The students know it’s easier to just throw this stuff away instead of shipping or storing it. I guess this man didn’t think the same way, because as I was loading some more stuff in my car, he was just staring at the stuff and milling around. So I asked him again and he quietly said, “Do you think I could take some of this?” I said sure. We were both outside for a while, doing our own thing, and then I asked him if I could help him again. He shrugged, so I asked him what was up. Finally, he reluctantly asked me if I could help him by driving him to take some of the stuff to his car. Huh? My gut response was “no way.” Who would take a random guy in their own car? But then I looked at him. I saw his ABM Janitorial Services shirt, the things he wanted to take (a stereo and a child’s toy, both of which were pretty heavy), and then I did something I’d normally never do: I took him in my car and we drove to the other side of campus. What are we really doing on this site? Teaching people how to make money with stocks and index funds and budgeting? Learning about money so we can…what? Help “struggling” people who are making $30,000/year as young single professionals live well? Or are we just spreading financial literacy so we can ultimately help more people? Maybe a little bit of each. This guy didn’t have Quicken or a Roth IRA or a money-market account. He lives in East Palo Alto and works 7 days a week. Today he was rummaging through the garbage to get an old stereo and a toy for his daughter. Anyway, after meeting him, it just occurred to me that being rich isn’t only about making money for just ourselves. Good for you! Money is worth something, but kindness is priceless. Living here in Stockton has given me the opportunity to frequently make less-fortunate people’s days a little better. When most people scoff or shudder when they see a person pushing a shopping cart around the outside of a Burger King, I already have my hand in my back pocket as I get out of my car searching for my wallet so I can give the person enough money for a meal. If time permits, I’ll instead try to go into the restaurant, order them a meal, and take it out to them. As far as I’m concerned, the gratitude on their faces is worth so much more than the satisfaction you’ll get out of buying the Black Eyed Peas latest (which on a COMPLETELY unrelated note is simply fantastic). It’s free and generally people will snap up the stuff very quickly. What would be really cool would be if there was some sort of “pick through the leftovers” day at the end of the school year. Because I always had an excuse to stay after they kicked out undergrads, I always snagged a few items. But if we can donate food through SPOON, it doesn’t seem like such a stretch to rescue half empty bottles of detergent either. I bet UMPA or Clara-Mateo would be interested. Okay, now I actually want to do something about this. It is absolutely amazing how much stuff we Americans buy that we just throw away. Adding to the shock is the realization that we are going deeply into debt to foreigners to buy it. If we find we have so much stuff that we can’t take it with us and have to throw it away, maybe that’s a signal that we need to buy less. You really have a grasp on reality that most people just miss. hi, i’m from india, where 70% of the country is living on agriculture. its not a land of plenty like many countries in the west. but slowly wastefulness and lethargy is setting in. Let me pen a quote that i always would remember : Being rich is not having things that money can buy, but is having things that money CANNOT buy. How many things do u have today that money cannot buy ? – Mathew, India. someone who cannot pay you back.” Absolutely true. Even setting aside your good deed, however, I would point out you’re already giving and serving a great deal; teaching basic financial literacy is a desperately-needed service in this country (for reasons, I think, not entirely unconnected to the giant metal dumpsters filled to overflow on Move-Out day with usable, valuable, saleable goods). And let’s not forget to consider how much MORE we would be able to give if we were debt free. Think about – no boat payment, no car payment, no credit card debt, no second mortgage… Think you might be able to give above and beyond your tithe under those conditions? That’s only 52% sarcasm. Actually I was inspired by your thought process regarding what the guy looked like, and why he was doing what he was doing. I’ve been reading your blog for the past couple of hours, keep up the good work. Bub, just wanted to say a big-time thanks for spreading the word about being responsible with the dough, and for helping that guy out. More people in this crazy world need to do that. Here’s looking at you, kid. I went to Macalester College in St. Paul, MN, and we had a similar issue. I furnished my first apartment with the “trash” at the end of the year. In fact, I just realized my CURRENT dresser was pulled from the trash (and refinished). Good blog. Kind of sad. A lot of people don’t understand what wealth is. Good perspective post to remember where you are at and where you have been. Many blogs out there write a serious quantity of posts per day, but your posts are pure quality. Keep up the good work. I went to Brandeis University where, the day after commencement, a truck from a charitable organization would come and pick up most of the lamps, fridges, etc. that people would leave. I was shocked by what I saw people leave behind–at least 10 fridges, whereas I managed to sell mine on Craigslist for $75 the day before! At least they were going to a good cause though. I recommend reading “Your Money or Your Life” from Eric Hamm. You can find a full list of books related to this clicking my name! This post is just as relevant now is it was back in 2005….offer a helping hand whenever you can. Thank you for reposting this post. Its disgusting what so many people throw away. I’m following on http://twitter.com/Freegan and its quite an eyeopener how much perfectly good food gets thrown away everyday. And she handed us a $20! I…really felt this post. Simple, but a lot of people forget the importance of doing for others. I find that a lot of people really have zero concept of the need and poverty that we have right here in the United States, and even less about the suffering going on around the world. Maybe we can’t save the world, but it doesn’t mean that we should stop trying to. Not enough people show this kind of compassion, another good thought is to buy the persons meal behind you in a drive through. It is a very pleasant unexpected surprise and it might make that person open up their heart to another just as you did. Only if we had a whole country of people like this…….. 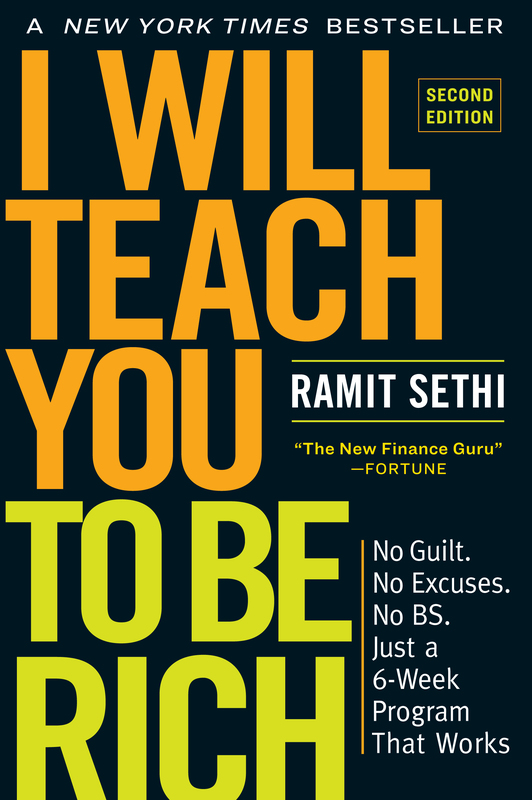 This is extremely well put Ramit, and pretty deep. Being rich isn’t just about making money for ourselves. It is important we have an abdundace in all aspects of life, not just [insert your currency here]. Way to dig up old posts of your own. Never read this one, so thanks for pointing us to it. Good stuff! I just adored this post and like very much what you are doing. The scholarship for social projects is an incredible idea. Too bad I didn´t now before to include it in my story. You may have wondered what happened with the interview for the mexican magazine you did months ago. It will come out on February. I promise I´ll either scan it for you or mail it so you can have a copy. Thanks for your time it was great to talk to you. In Madison, students put their unwanted items on the curb and the day is known as “Hippie Christmas” because it is an accepted practice that people (students and non-students alike) will go around and salvage other people’s unwanted stuff. But really, what a wasteful practice. I remember seeing some kid pull up with a U-Haul to the dorms on moving day once…maybe students need to learn to live with less. Thanks for the story – it points out so many things. I am new to your blog, and will certainly be reading more! This situation is typical of my native home, Hong Kong, where people would buy a massive bunch of stuff, and try to stuff everything into a whole home that’s smaller than your kitchen in the States. Then every now and then they start throwing things out, or donating clothes. I know of an organisation here, called Crossroads International (based in Hong Kong), where they collect up goods from corporate and personal nature, and repackage them and ship them to places in need. I wonder how much more we can do this. Many of the “old” mobile phones, “old” computers, typewriters, books, magazine subscriptions, toys that can simply be better used with someone else in need. Thanks for this post Ramit – we’re in this together, the whole world. We can all make the world a little better. I love this idea and I always loved dumpster diving myself! A few years ago l lived in Park Slope, Brooklyn and lots of people, including myself, would put clothes we didn’t need on the fence or leave boxes of books on the sidewalk…it was a lot of fun watching people come by and check out the clothes and find something they wanted; even better was how people would gather around a box of free books and get into conversations about the books or whatever….I got tons of great clothes, coo furniture and all sorts of other stuff like that…. And then came the great New York City Bedbug Epidemic…it’s totally out of control and getting exponentially worse….and college dorms are bedbug heaven! Columbia had a problem in their student housing this year and so did Union Seminary across the street…I dread to think what people unwittingly took home with all that great stuff the students left on the street! Plus, I had to put half my own stuff on the street and, although I wrapped and clearly marked everything “Bedbugs! !” the stuff got carried off anyway–so now more folks have the nasty little buggers despite my best efforts…. Chico State sets up bins for all that kind of stuff and donates them to the needy. I think all dorms should do something of the sorts.